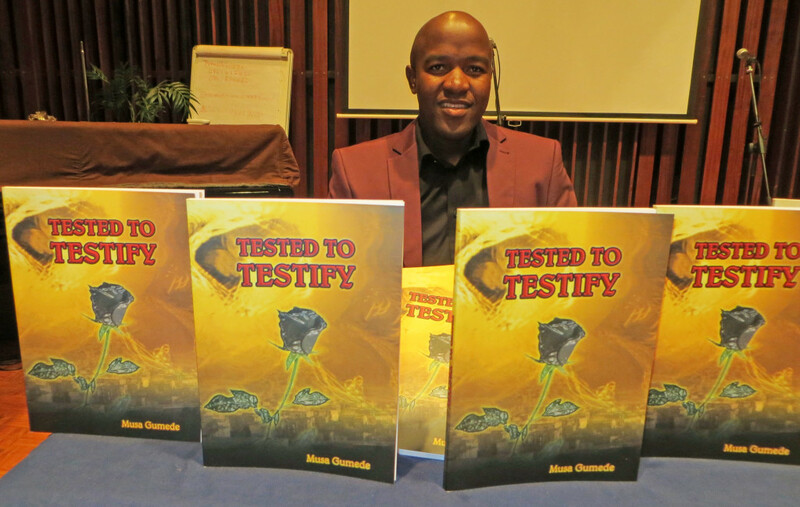 Well over 100 people attended Musa Gumede’s launch of his book “Tested to Testify.” This book place in the Blue Moon Venue of the SABC Head Office in Durban on Sunday afternoon 7th April. Musa had organised a though provoking supporting programme of poetry, music and motivational talks that were inspiring to listen to. He will probably do a similar launch with supporting programme in Port Shepstone, his home town. It is an inspirational book which is intended to ignite positive thinking to its readers. I always wanted to do something significant in my life being an author is one of them. 3. Where did you grow up and where did you go to school? I grew up at Port Shepstone in the area called Umzumbe. Primary education I went to different schools, started at Denver Zoar Primary school and it was closed, the I had to move to Umzumbe LP School I did grade 3 and 4 there. I moved to Sojube HP School where I did grade 5 to grade 7. I then did my high school education at Mdlangaswa high school in Port Shepstone. 4. What does your family think about you being a published author? Have they seen the book? My family and the extended family are very happy to have an author in their ranks, they even said it is the first time this is happening. I have become the family celebrity. All of them just acquired the copy of the book they are busy reading it now. 5. Are you thinking of wither translating it into isiZulu or maybe writing a next one in your mother tongue. For now I will see how this one is doing & I can translate it to isiZulu. 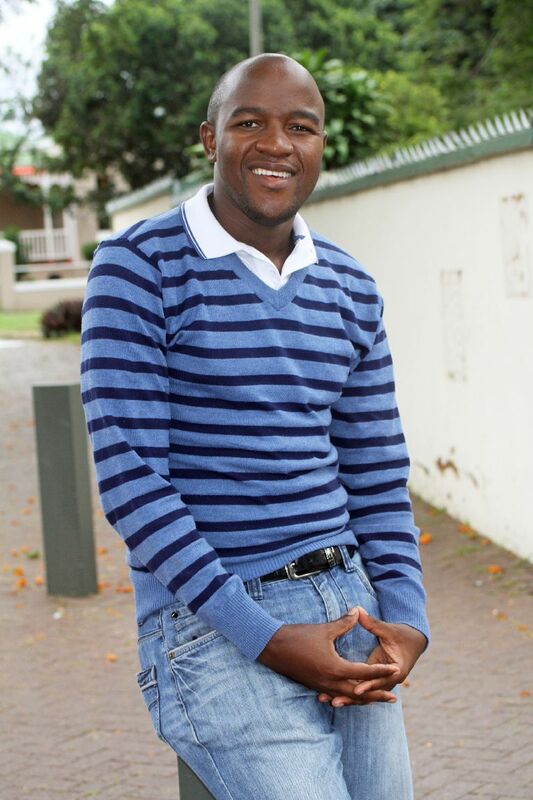 I have planned to have a IsiZulu novel by 2015 I don’t want to rush it as I want it to be more rich. 6. What kind of books do you read? Who are your favourite authors? I read motivational books just to inspire myself & I like history books as well especially cultural and heritage books. My favorate author is Dr Norman Vincent Peale he was called ‘the father of positive thinking’ & I call myself ‘the son of positive thinking’ Locally my favourate is Muzi Ninela he writes inspiring books. 7. And music – your all time best music? Internationally I like James Blunt, I have been in both his concerts the he had in Durban& I have all his original CDs. In Africa I like Oliver Mtukutzi. 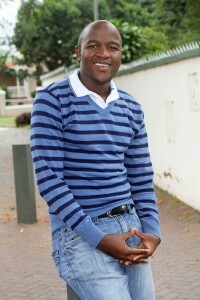 In love South African music as well I play gospel music Benjamin Dube is always in my play list, maskandi, jazz, pop, etc I enjoy as well. In these days I play a lot of Umanji Nkuna he is singing Sipedi music. 8. Let’s find out about food – what is your favourite meal at home and when you eat out? At home I enjoy phuthu and herbs e.g. spinach, imbuya, etc. when eating out I always enjoy kingklip fish meal with vegies & a little rice. 9. If you won an two weeks all expenses paid holiday to anywhere in the world, where would you like to go and why. 10. Lastly, when can we expect the next book? Next year, although I can’t tell the month.